Imperial Court Studios i London, England: Bestill nå! 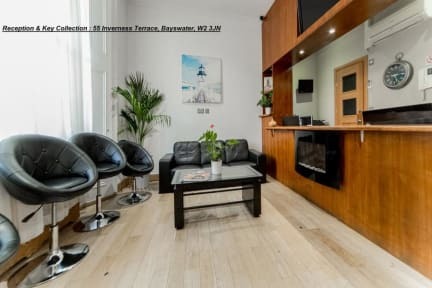 With Hyde Park at the end of the street, these London apartments make a great accommodation option for guests who wish to be near to amenities and attractions whilst sticking to a budget. The surrounding neighbourhood is filled with eateries and convenient public transport connections. These simple studios offer the essential facilities to live like a local, with kitchen areas that enable you to self cater if you wish. 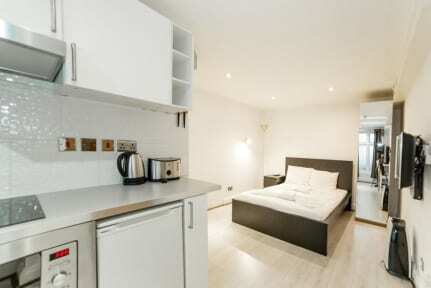 The apartments feature kitchenware, microwave and oven. Please note that the credit card holder name must match the guest's name. If you are not the owner of the credit card used to make the reservation, please contact the property in advance. Reception & key collection: 24 Hours, Address: 55 Inverness Terrace, Bayswater, London, W2 3JN. Guests are required to present a photo identification and credit card upon check-in. Please note that all Special Requests are subject to availability and additional charges may apply. We do not accept guests under 18 years, children 4 - 6 years old can be accommodate with guests (without any extra bed).